With the release of Dragon Age: Inquisition today, now is the perfect time to take an in-depth look at the anime film Dragon Age: Dawn of the Seeker—a movie that not only fleshes out the world of Dragon Age and the backstory of one of its most prominent characters but is also a fun fantasy adventure in its own right. 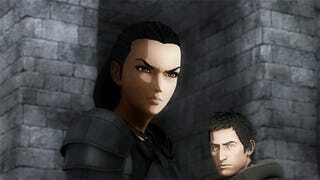 Dawn of the Seeker is the story of Cassandra, a young yet skilled dragon hunter and a member of the Seekers. Her prowess in combat is matched only by her faith in the order she serves. But after helping her mentor run away with a recently rescued mage, she finds herself outlawed and the victim of a conspiracy set to destroy far more than just her life and reputation. Cassandra is an amazingly powerful character, even for the world of Dragon Age. She is peerless with a blade and shows no fear even when confronting a horde of darkspawn, a dragon, or worse. However, Cassandra is not without flaws. She has a vicious temper and is clearly prejudiced against all magic users, be they good or evil. Moreover, her faith in her order and the church all but blinds her to the evil working within. However, she is also a character that, when confronted with uncomfortable truths, is quick to act. Seeing her evolve out of her tiny worldview is one of the best aspects of the film. After being so disillusioned with Sony's Heavenly Sword animated film, I admit I came into this expecting another ugly low-budget video game tie-in. However, with Dawn of the Seeker, I was pleasantly surprised. While presented in a simple style, the animation is nonetheless clean and fluid. The fight choreography always looks amazing and the film's climax is excellently done. While nowhere near the amazing quality of Dragon Age's pre-rendered trailers, it still does the series justice visually. My only complaint about the visuals is the color palate: The majority of the story takes place indoors, at night, or under cloud cover—thus making for a world of dull, muted colors. As Kirk pointed out last week, there is a lot of lore in the Dragon Age world. Dawn of the Seeker takes us to Orlais—the setting of Inquisition—which, while constantly alluded to in the first two games, was never actually seen. It then fleshes out much of how the church itself is run—the various factions, their goals, and their tenuous relationship with mages. The world also provides a revealing backdrop for the personality of Cassandra—who not only appeared in Dragon Age II but is a main character in Inquisition—and explains how she came to be so prominent in her order. Dawn of the Seeker does a decent job of being accessible to those who have no experience with Dragon Age at all. The main plot is one of conspiracy and betrayal inside the church and reveals how a person must go outside the law to protect what one holds dear. The relationship of circle mages, blood mages, templars, and seekers is explained at a basic level as is the political climate. However, the particulars are often skimmed over, leaving some massive holes in the setting—especially things relating to magic, the Fade, and the darkspawn. So while by no means impossible to enjoy in a vacuum, this is certainly a film that is better after you have spent considerable time in the world of Dragon Age. While neither really good nor bad, there was one odd thing I noticed in the film. Early on, we have a scene where Cassandra is training with her mentor Byron. The fight ends when Byron, instead of blocking with his shield, blocks with his sword and attacks with the edge of his shield. He then goes on to call her the better swordsman and states that “sometimes your blade becomes your shield and your shield becomes your blade.” These words are treated as something profound—as if they are words key to the plot. So you'd expect them to come back into play later in the film—perhaps teaching her in some way to overcome her prejudices, to uncover the conspiracy, or simply to give her the special move she needs to beat the final boss during the climax. But none of this happens. Rather, it is never mentioned again. In fact, from that point on, not once does Cassandra even have a shield. The wise mentor speech seems to have been nothing more than words. 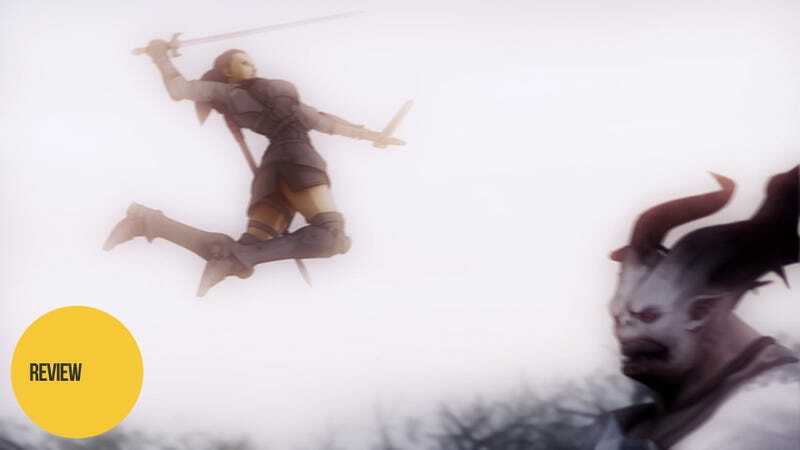 Dragon Age: Dawn of the Seeker is a surprisingly enjoyable little film. It presents a fun, straightforward fantasy adventure with some highly enjoyable fight scenes. For fans of Dragon Age, it serves as backstory to a key character in two of the games and fleshes out an important area of the world and how it works. Yet, it also works as a decent first step for those uninitiated when it comes to the world of Dragon Age—providing an easy-to-digest story and an introduction to the series' massive amounts of lore. In other words, if you like fantasy at all, give this one a watch. Dragon Age: Dawn of the Seeker was released on May 29, 2012 and is currently available on Blu-ray and DVD. It can be watched on Funimation and Hulu Plus.